Ready to launch your freelancing career? With The Profitable Freelancer, you can start working from home from scratch or scale your current freelance business! The Profitable Freelancer provides a proven method specifically designed to help you not only start your freelancing career, but also helps you find and land the best online jobs. This course is designed to help you create your freelancer account the right way, build your fail-proof profile optimized to outshine your competition, find jobs worth applying to, create compelling proposals, and win high-paying jobs! Everything about it is intentional. It is designed from the ground up with YOU in mind! I'll walk you through each milestone using the best freelancing platform in the world - Upwork. And the best part? You can start with little-to-no experience. You want to make it big as a freelancer, but you have so many questions! How can I optimize my profile to attract clients? How can I beat my competition? How can I find jobs worth applying to? How can I demand rates for the value I provide? THE PROFITABLE FREELANCER IS TESTED AND PROVEN TO WORK NO MATTER WHAT SERVICES YOU OFFER. This course is a result of more than 10 combined years of testing! The strategies will work whether you specialize in virtual assistance, customer support, graphic design, blog writing... whatever your niche! Learn the process from someone with 5+ years of freelancing experience, who has 30+ completed jobs, 4.9 customer rating, 100% success rate and $100,000+ in earnings. You're working a dead-end job. You don't feel fulfilled. You're profile is all set, but you're still not winning jobs. You apply to 20 jobs and never hear back from clients. You're earning less than you deserve. You toil 80 hours a week to earn what top-earners make in 20-40 hours. You're able to pick and win jobs that are meaningful to you. You pick projects that align with your passions and interests. You're being paid for the value that you offer! You hear back from clients for almost every job proposal you send. Even better, talent scouts and clients come to you! Most beginner freelancers bid very low rates and wait months to land their first freelancing job. They use up their connects applying to as many jobs as they can but still don't hear back from potential clients. Also, most beginner freelancers operate under this mentality: bid cheap and work many hours! "Earn $3 per hour, work 60 hours, and earn $180 weekly!" That's a lot of money but also a lot of work! What if I told you that you could earn $10 to $20 per hour (or more), work 12 hours (or less) and still earn as much?! THAT'S WHAT THIS COURSE IS FOR! IT'S BUILT TO GET YOU HIRED SOONER AND GET YOU PAID MORE! In Zero to Freelancer, you'll learn my tried-and-tested strategies to help you stop wasting time applying to jobs you won't get hired for, and help you focus your time earning $$$. YOU CAN SPEND THE NEXT FEW MONTHS APPLYING TO JOBS AND WAITING TO GET HIRED, OR YOU CAN SPEND IT DOING ACTUAL WORK AND MAKING MONEY! THIS AWESOME COURSE PAYS FOR ITSELF AS YOU START WINNING JOBS! WHAT WILL YOU LEARN IN THE ZERO TO FREELANCER COURSE? Meet your instructor: Hi! I'm Chris. Download awesome resources to help you succeed: course checklist + worksheet. Bookmark the Upwork rates guide so you know how much you should get paid for the services you offer. Identifying the minimum requirements to launch your freelancing career. Pros outweigh the cons: reasons why you should definitely be a freelancer! Everything you need to know about the Upwork platform and how it works. Starting on the right foot: the one thing you should set up before creating your Upwork account. A step-by-step guide to creating your Upwork account before submitting it for review. Capitalizing on the first things clients see: learn about the impactful parts of your profile and how you can maximize it! How finding and owning your niche is essential to your freelancing success. How to set your rates right so that you're paid for the value you provide. Discover why setting your rates low is the worst thing you can do to your profile. Most freelancers write cookie-cutter overviews. Discover the secrets for making your overview stand out from the crowd. No portfolio? No problem! Find out the many options you can add to your portfolio. Identify what skill tests to take to legitimize your credibility. Stand out from competition by banking on underutilized profile sections. Submit your profile for a professional review! Big mistakes beginner freelancers make and how you can avoid them. Stop wasting your time, effort, and connects: steps you can take to find jobs worth applying to! Protect yourself from scams with a fool-proof checklist of red flags to watch out for. Case studies on finding the right jobs. Winning cover letters: how you're doing it wrong, and how you should do it right! Discover strategies to help you become the most memorable (and preferred) applicant. 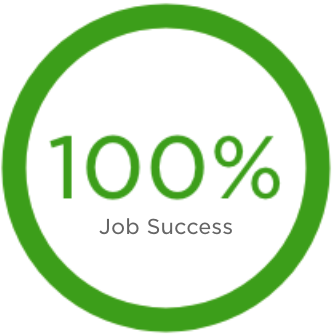 Case studies on successful job applications. Closing the deal by nailing your interviews: find out what makes you the client's preferred freelancer (hint: it's not your experience or your credentials). Accepting a job offer: things to check before sealing the deal. Setting up to work and pointers to keep in mind as you start! After completing the course, submit your Upwork profile for a professional review. We'll advise you on what to add and remove so your profile is optimized for success. You'll have access to everyone else in the course. Get feedback on your ideas, share your struggles and hang out with people who "get it." Casual Q&A sessions on our private Facebook group addressing trending questions, answering your questions live, and giving you advice to help you succeed! Those looking for a silver bullet. Those looking for a "get rich quick" formula. Anyone who thinks success happens without hard work. Anyone who has basic English skills, a laptop or computer and reliable internet connection. If you already have an Upwork account but are still not landing jobs, or are only able to win low-paying ones.